Tomigaya is a neighborhood that has retained a sense of authenticity in the midst of Tokyo’s hyper-commercialized shopping hubs. A community of old-fashioned izakayas, toriyaki shops, and independently-owned cafes thrives along its intertwining little alleyways, even though the area is only a stone’s throw from the hustle and bustle of Shibuya’s Center Gai. 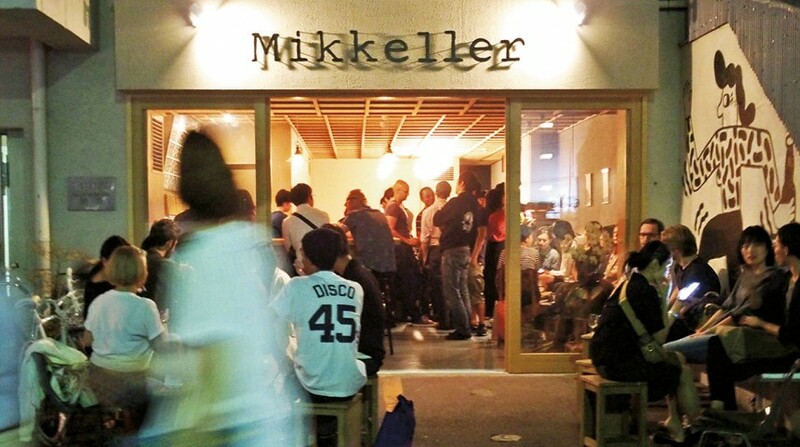 The latest addition to the Tomigaya neighborhood is Mikkeller Tokyo, a casual bar operated by the Danish microbrewery, which was founded in 2006. Inside their newly-launched Tokyo brewpub—the third outlet to be opened in Asia after Seoul and Bangkok—the wall behind the bar is adorned by a big blackboard on which as many as 20 different brews are listed at all times. (Out of this extensive list, five “guest beer” slots are reserved for local microbreweries such as Hokkaido’s own North Island brand.) This eclectic diversity is what distinguishes Mikkeller from other brands capitalizing on a growing thirst for all things craft. 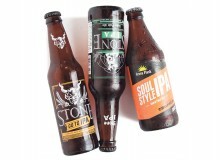 The brainchild of former science teacher Mikkel Borg Bjergsø, the novelty of this quasi-scientific approach to brewing has won over many fans, not least the world-renowned chef Rene Redzepi of Noma. And it is little wonder why. His Copenhagen-based company does not actually own a single brewery of its own. Befitting his former profession, Bjergsø works in close tandem with other microbreweries around the world to produce “experimental” recipes for his unique line of foamy beverages. For a microbrewery, the breadth of Mikkeller’s lineup is truly exhaustive, ranging from pale ale and pilsner to strong dark stout and fruity cream ale, all labeled with winsome monikers like “Mikkel’s Dream American Pilsner” (¥650) and “Crooked Moon Tattoo DIPA” (¥750). 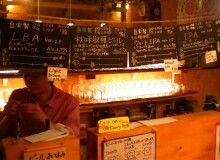 The staff’s choice is Mikkeller’s “Spontan Series” of lambic brews such as Udagawa Spontanale (¥550). 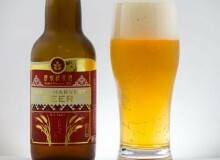 Brewed in a unique process called “spontaneous fermentation,” with its roots in Belgium, Spontanale has a distinctive sour aftertaste and is a rare enough type of beer that it is only sold at this location as well as a few specialty shops and bars in Japan. Mikkeller offers a breath of fresh air for those just seeking a good time as well: the establishment provides a rare opportunity to booze and schmooze in a generously spacious front terrace. It’s a welcome change of scenery in this city of cramped izakayas, sorely lacking in such social environments. Please be warned that the food menu (as yet) consists only of side dishes, including a charcuterie plate of bread, pickles, and salami (¥1,500). Non-alcoholic schmoozers need not worry, however: Fuglen’s signature Cold Brew coffee (¥500) is also served, which comes in a handsome slim bottle.